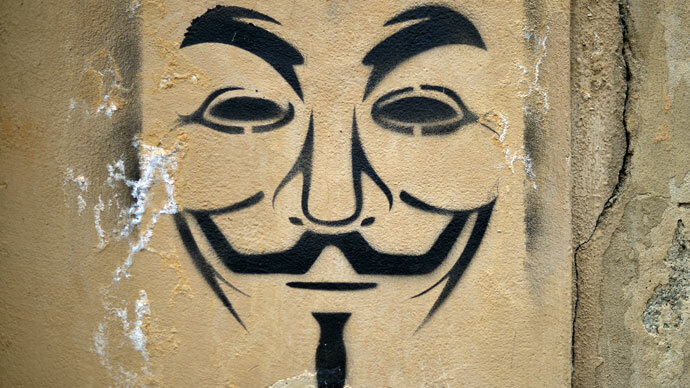 Hacktivist group Anonymous has launched a second massive cyber-attack against Israel, dubbed #OpIsrael. While the hackers claim to have caused multi-billion dollar damage, Israel declares there haven’t been any major disruptions. 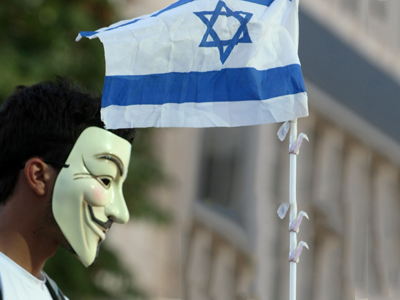 Anonymous threatened to "disrupt and erase Israel from cyberspace" in protest over its mistreatment of Palestinians. Dozens of Israeli websites were unavailable as of early Sunday, with one of the latest being the Israeli Ministry of Defense online page, according to Anonymous on Twitter. However, the country's officials indicated that the disruptions haven't been serious. The Israel Police website had difficulties loading for only a short time before going back to normal. The same went for the Defense Ministry page, which was hacked for a few hours, and then restored. Anonymous pointed out on Saturday night that they had shut down several government sites, including those of the Prime Minister's Office, the Israel Securities Authority, the Immigrant Absorption Ministry and the Central Bureau of Statistics, but the government denied the claim, Haaretz reported. The hackers also released a list of email addresses and credit card numbers, reportedly lifted from the online catalog of Israel Military, a privately-owned business that sells military surplus, Haaretz reported. Israel Military officials indicated that the information made public did not come from its site. Yitzhak Ben Yisrael of the government's National Cyber Bureau told AP that hackers had mostly failed to shut down key sites. Anonymous, however, claimed that more than a hundred thousand websites have been brought down since the start of OpIsrael, and some 30,000 Israeli bank accounts hacked, saying the damage has topped $3 billion. Israel responded to mass cyber-attacks on Sunday by launching a series of raids in which several Palestinian activists were arrested, President Mahmoud Abbas’ advisor for communications and information technology Sabri Saydam told WAFA. @phr0zenm @op_israel as we do know at least 3 hackers are arrested last night in Gaza , nothing official but source is GazaHackersTeam . An IDF spokesman has denied reports of arrests, according to Haaretz. Meanwhile, an official from the Hamas movement praised the attack. "God bless the minds and the efforts of the soldiers of the electronic battle," Ihab Al- Ghussian, Gaza's chief government spokesman, wrote on his official Facebook page, AP reported. A message from a Twitter account linked to Anonymous said Israeli Defense Forces troops were arresting suspected hackers, a report the IDF spokesman also denied, according to Haaretz. 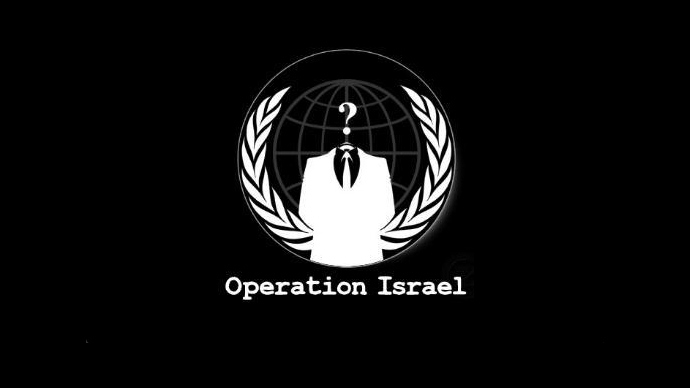 Israeli hackers have reportedly prepared an answer to the Anonymous cyber attack, penetrating the website associated with the campaign against Israel - opisrael.com. Instead of reading about Anonymous' anti-Israel views, those visiting the page on Sunday morning were instead presented with a pro-Israel banner and a long list of facts regarding the legitimacy of Israel and the history of the Jewish people, according to Israel Today. Earlier on Saturday, an Anonymous affiliated group identifying itself as The N4m3le55 cr3w announced that they “have gathered 600 websites and 100 plus servers we will be attacking” throughout Israel. The list includes banks, schools, businesses and a host of prominent government websites. “That is just our targets,” the group warned. The massive cyber attack falls on the eve of Holocaust Memorial Day. Anonymous has accused the Israeli government of mistreating its own citizens, violating treaties, attacking its neighbors, threatening to shut down the Internet in Gaza and ignoring “repeated warnings” about human rights abuses. On Friday, Israeli radio reported that scores of large organizations had closed their websites to shield them from hacker attacks. Before the attack began, Lior Tabansky, a fellow at the Yuval Ne'eman Workshop for Science, Technology, and Security of Tel Aviv University, told the Times of Israel that distributed denial of service (DDos) attacks, which work by overwhelming targeted servers with traffic which stems from multiple systems, are the only tool at the hackers’ disposal. "Unless they have names and passwords, [DDoS] is really their only attack strategy. Unfortunately, there is little a company can do to stop it, but it is not the major cyber-threat many people, especially in the media, believe it to be. It's more of an annoyance, and if they do manage to intimidate sites into submission, the victory will be one of public relations." According to a former MI5 agent Annie Machon, actions such as #OpIsrael are “a new front in protest” against the clampdown on rights and freedoms by certain states. “If you can do it over cyberspace, you get global awareness of what you’re doing, and the message you’re trying to put out. And this is precisely what Anonymous has achieved, with this publicized assault against certain Israeli websites,” Machon told RT. Unlike real cyber-terrorists, “they’re not trying to steal anyone’s information, they’re not trying to get your bank details or anything like that. What they’re just trying to do is make the websites of certain governments and big organizations crash, so that people can be aware that there is an issue here that needs to be addressed,” the former MI5 agent added. “This latest attack is not as serious as it looked in the media,” believes Dr Tal Pavel, founder and CEO of middleeasternet.com. For a start, there were not too many attacks against Israeli websites – private, governmental or belonging to organizations, he told RT. Secondly, there is an issue of the “quality” of these attacks. “Even though several websites were hacked or defaced, no information has been leaked, no damage has been done to the core system or infrastructure of the Israeli major websites,” Pavel added. 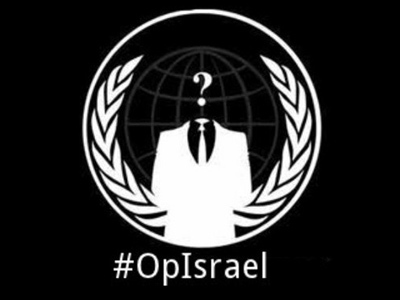 Anonymous launched the first ‘OpIsrael’ cyber-attacks in November 2012 during Operation Pillar of Defense, an eight day Israeli Defense Force (IDF) incursion into the Gaza s trip. 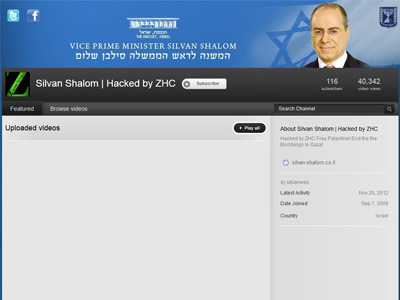 Some 700 Israeli website suffered repeated DDos attacks, which targeted high-profile government systems such as the Foreign Ministry, the Bank of Jerusalem, the Israeli Defence Ministry, the IDF blog, and the Israeli President's official website. The Israeli Finance Ministry reported an estimated 44 million unique attacks on government websites over a four day period. The group also took part in an attack in which the details of some 600,000 users of the popular Israeli email service Walla were released online.